Tell Us More: Twitter Education Forum : Tell Me More Join Tell Me More's education conversation on Twitter today, using #npredchat. 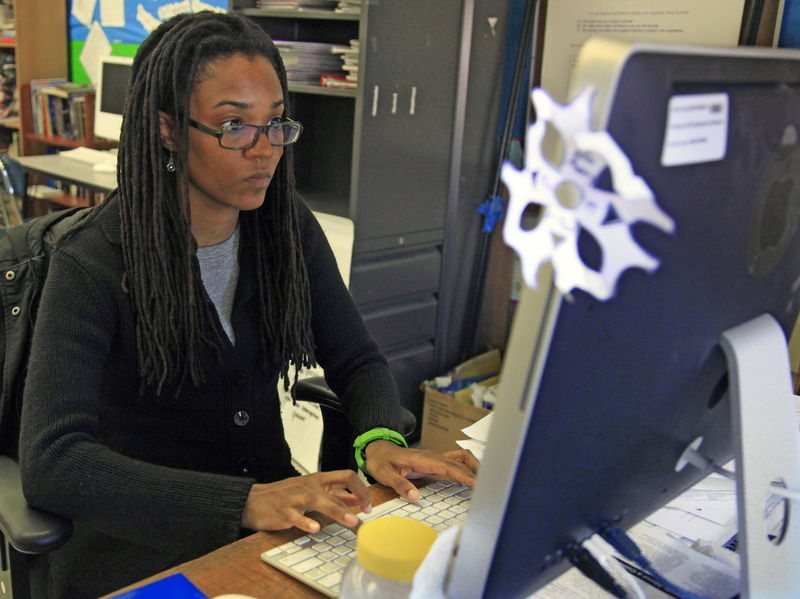 Nkomo Morris, a teacher at Brooklyn's Art and Media High School, stays in touch with current and former students through social media. Education has always played a key role in the American dream of advancement and opportunity. But, to this point, the issue has not been a major topic of discussion in this election season. On Wednesday, October 10th, NPR's Tell Me More with Michel Martin will host a LIVE radio broadcast and Twitter Education Forum, focusing on the education issues that matter. Join us on Twitter today, using #npredchat and let's begin the exchange of ideas! Tell Me More's Twitter Education Forum is produced in partnership with StateImpact Florida as well as member station WLRN in Miami, Florida. We'd like to hear from you: Who is responsible for making our schools better? What role should teachers, parents, the government, and private sector, be playing right now? Who is stepping up to the plate—and who isn't? Our conversations are focused on K through 12, but if you are interested in education, we are interested in you. Follow the conversation below (going on right now!). And remember to listen in on October 10th! And click this button to join in the conversation now!